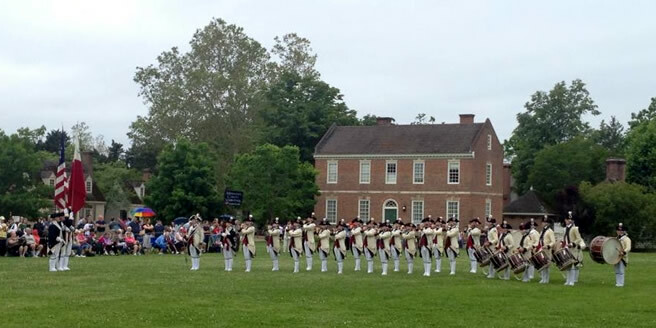 MCV has been invited to attend Drummers Call at Colonial Williamsburg, Virginia. The day will feature a parade of fife & drum corps, a Muster and a twilight Tattoo. Tickets to Colonial Williamsburg can be purchased in advance or on the day. 1 Duke of Gloucester St.